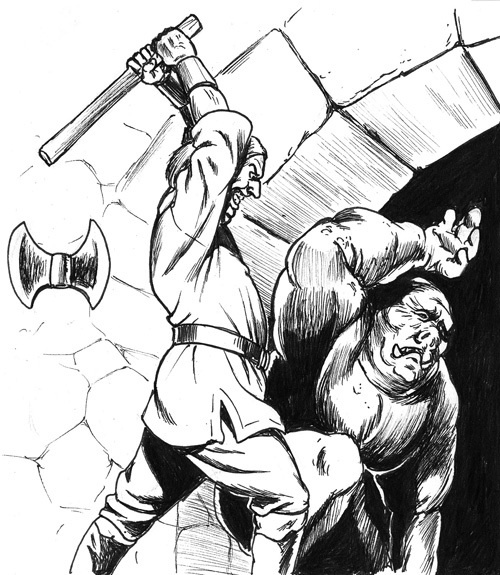 This Amazing art from Jim Holloway sums up the essential awesomeness of Dungeon Crawl Classics and is one of the reasons I started running a campaign, my first ever as a DM. 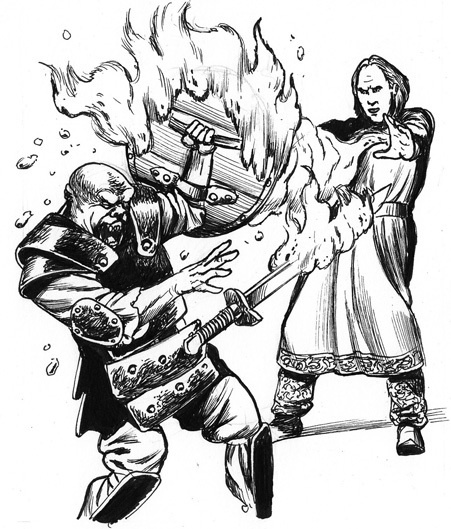 For the uninitiated, DCCrpg randomizes many of the effects in the game, such as Spell Manifestations, Critical Hit Effects and Fumbles. 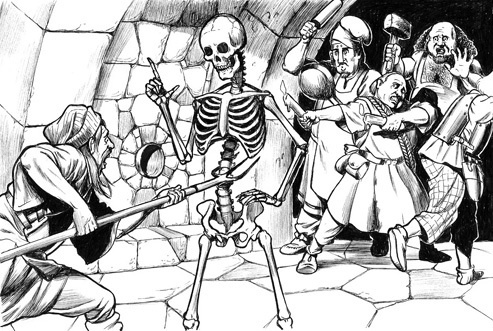 Jim’s art, above, shows the deadly Flaming Hands Spell at work, a Zero Level party unsuccessfully engaging a skeletal minion, a very costly Critical Miss and subsequent Fumble, and finally, the unfortunate result of a Spell Misfire. 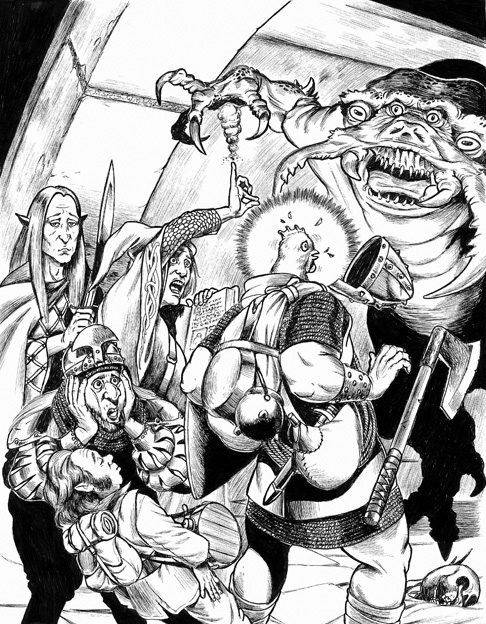 My party of adventures that survived the initial Zero Level Funnel are now racing through a self- converted “Forest of Doom” inspired by the classic Fighting Fantasy book of the same name, but with many more weird, DCC RPG inspired twists.